Skiing, Snowboarding, Snowmobiling, Snowshoeing, Sledding, Tubing, Cross Country Skiing, Dining, Zip-Lining, Shopping. TWO HOUR PROSPECTOR SNOWMOBILE TOUR | This tour features groomed trails and spectacular views of 14,000 feet mountains. It’s great for families with children, single riders looking for a scenic ride, or couples who want to ride together on the same snowmobile. Groomed trails make this ride good for all levels of experience. Parents will enjoy a brief stop so children up to 70 pounds can take a turn driving a kiddie snowmobile in a snowy meadow, while other guests enjoy free-time riding in a scenic practice area. Free transportation is available from local hotels and condos. Helmets are mandatory and provided. Complimentary coveralls and boots are available if needed, but warm personal winter apparel is appropriate and recommended. Guests must bring goggles or sunglasses as eye protection is not provided. Does not include customary guide & van driver gratuities. Tour Times: 9:00 a.m, 12:00 p.m., 3:00 p.m.
P/U Times in Summit County including Breckenridge & Keystone: 7:45 a.m., 10:45 a.m., and 1:45 p.m.
P/U Times in Copper Mountain: 8:15 a.m., 11:15 a.m., 2:15 p.m. Guests driving to our Base Camp for Check-in must arrive 30 minutes prior to tour time. TWO HOUR PERFORMANCE SNOWMOBILE TOUR on Polaris 550s | You don’t have to be an experienced snowmobiler to book this ride. This popular two-hour tour is perfect for adventurous people looking for a thrilling fast moving ride. Riders will enjoy scenic views of 14,000 foot mountains, trails through the forest, and snowy alpine meadows in the shadow of the Continental Divide. This is superb riding at altitudes from 10,000 to 12,600 feet. The Performance Tour is restricted to single riders, no passengers are allowed. Perhaps you will return to experience one of our more extreme tours on another day. Free transportation is available. Helmets are mandatory and provided. Complimentary coveralls and boots are available if needed, but personal warm winter apparel is appropriate and recommended. Guests must bring goggles or sunglasses as eye protection is not provided. Performance Tour Times: 9:00 a.m., 12:00 p.m., 3:00 p.m.
P/U Times in Summit County including Breckenridge & Keystone: 7:45 a.m., 10:45 a.m. and 1:45 p.m.
TWO HOUR HIGH ADVENTURE SNOWMOBILE TOUR on Polaris 550 RMKs | This tour is for experienced single riders wanting a more advanced and challenging ride. No passengers are allowed. Riders will enjoy thrilling sport riding on the windswept alpine tundra, through high alpine valleys and powder filled bowls high above tree line at ‘the top of the world’. Enjoy the 360-degree panoramic views from 10,000 to 12,600 feet. Free transportation is available. Helmets are mandatory and provided. Complimentary coveralls and boots are available if needed, but warm personal winter apparel is appropriate and recommended. Guests must bring goggles or sunglasses as eye protection is not provided. Guide Gratuity: The most experienced guides will be assigned to host Private High Adventure Tours. $40.00 Gratuity is expected and will be added for each rider at check-out. Does not include customary van driver gratuities. Tour Times: 9:00 a.m., 12:00 p.m., 3:00 p.m.
THREE HOUR HIGH ADVENTURE SNOWMOBILE TOUR on Polaris 550 RMKs | This ride is for experienced riders who want to range out into more remote areas to explore back country bowls filled with champagne powder. White Mountain Tours has been hosting riders for more than 22 years with the highest and most exciting sport riding at altitudes up to 12,600 feet. Our experienced guides enjoy showing their guests how the locals ride. This challenging ride is not for the faint of heart as the thrills just keep on coming. Helmets are mandatory and provided. Complimentary suits and boots are available if needed, but warm personal ski apparel is appropriate and recommended. Guests must bring goggles or sunglasses as eye protection is not provided. Tour Time is 9:00 a.m.
*No Transportation is available for this tour. Guests should arrive by 8:30 a.m. at the Base Camp. Our most professional guides are assigned to host High Adventure Tours. This tour is a special Private Adventure. Guide Gratuity: $60.00 Gratuity is expected and will be added for each rider at check-out. 2- HOUR TOP OF THE ROCKIES SNOW/CAT /ZIP LINE TOUR | Relax and enjoy the views in cozy comfort as our powerful Snow Coach climbs almost 1,000 vertical feet to the first zip line departure deck. Look for possible wildlife as the driver points out areas of interest and gives commentary about the history of the area. (We reserve the right to use an optional shuttle if trail conditions are not appropriate for the snow cat. Polaris Rangers, and cat-track vans also provide safe and scenic transportation up the steep trails.) Our zip line guides are certified on the course and will accompany guests as they fly from area to area on lines from 400 to 850 feet, some with cables 300 feet off the ground. All six separate zip line sections have DOUBLE CABLES FOR SAFETY and distinctly different terrain. “Self-Braking is not required; we have an automatic braking system. Guests will soar on one single, side by side on TWIN LINES on four sections over dense pine forests, deep canyons and remote alpine meadows at ‘the top of the world’ then fly the BIG NUGGET ZIP, #6, and land on our 100’ Sky Tower. The Big Nugget is a TRIPLE ZIP. Our Zip Line is registered with the State of Colorado and was built and inspected according to the highest standards. Weight and age restrictions apply. Hot chocolate is provided. Free transportation is available from local hotels and condos. Helmets are mandatory and provided. Complimentary coveralls and boots are available if needed, but personal warm winter apparel is appropriate and recommended. Guests must bring goggles or sunglasses as eye protection is not provided. Minimum weight 50 pounds, Maximum weight 260 pounds. 5- HOUR TOP OF THE ROCKIES ZIP LINE/SNOWMOBILE COMBOS W/ LUNCH | COMBINE PERFORMANCE OR HIGH ADVENTURE RIDING FOR SINGLE SNOWMOBILERS OR A SLOWER PACED SCENIC PROSPECTOR TOUR FOR DOUBLE RIDERS WITH LUNCH AND ZIP LINING FOR THE ULTIMATE ADVENTURE. See the Rocky Mountains from areas never before accessible to the public. Our spectacular 2500-acre private property rests on the splendid slopes of Mt. Arkansas, an almost “Fourteener” at 13,795 feet. Choose your favorite guided snowmobile tour depending on your experience and participants then we’ll add a delicious box lunch served in our cozy high mountain yurt, followed by our entire Zip Lining adventure. Guests will receive gloves, helmet and other equipment, then enjoy a short zip on a practice line before departing from the first take-off deck at 11,200’. Trained and certified zip line guides will accompany participants on the tour. The course has six separate zip lining sections, each with entirely different elements of speed, height and terrain, with cables up to 850 feet, some more than 300 feet off the ground. All zips have double lines for safety, we hook to both the top and bottom cable with two separate carabiners for ultimate safety. Our automatic braking systems eliminates the need to “self brake”. This is particularly important for families with children. Pick-up time for Summit County, Including Breckenridge & Keystone: 7:45 a.m. Pick-up for Copper Mountain: 8:15 a.m. The High Adventure Snowmobile Tour requires prior riding experience. We assign our most professional guides to this Private Experience. The tour price includes a Snowmobile Guide gratuity of $60 and a gratuity of $25 for the Zip Line staff. This tour requires prior riding experience. The High Adventure Snowmobile Tour requires prior riding experience. We assign our most professional guides for this Private Experience. The Tour price includes a Snowmobile Guide Gratuity of $40 and a gratuity of $25 for the Zip Line staff. Gratuities are customary for van drivers when complimentary transportation is provided. Gratuity for Van Driver is not included in the tour price. THE ROCKY MOUNTAIN CHALLENGE, 6 HOURS, TWO GUIDED SNOWMOBILE TOURS, TWO. SPECTACULAR RIDING AREAS, INCLUDES LUNCH & $70.00 GUIDE GRATUITY | The ROCKY MOUNTAIN CHALLENGE may very well be your best day in the Colorado High Country. RIDE AT THE TOP OF THE WORLD AT ALTITUDES UP TO 12,500′ HIGH ON THE CONTINENTAL DIVIDE. BASE CAMP for White Mountain Snowmobile Tours and Top of the Rockies Zip Line is located at 6492 Highway 91, 13 miles south of Copper Mountain from Exit 195 on Interstate 70, approximately 45 minutes from all major ski areas and resorts, 7 miles north of the town of Leadville, and 2-1/2 hours from the Denver Metro Area. ARRIVE AT 8:30 a.m. and meet your guides in our Check-In Facility. There is plenty of room for parking. Our Private Property in this area is made up of old mining claims comprising about 2,500 acres at altitudes from 10,000 to 12,800′. We are nestled on the slopes of Mount Arkansas, almost a Fourteener at 13,795’. Dress warm, ski apparel is appropriate, and help yourself to coveralls and boots – they are complimentary. Please bring gloves, goggles or sunglasses. We will also provide snowmobile helmets; ski helmets are not appropriate. THE FIRST ADVENTURE ON THIS COMBO IS ATWO-HOUR SNOWMOBILE TOUR AT THE TURQUOISE LAKE RIDING AREA | After the paperwork is completed and you are all geared up, your guide will shuttle you about 10 minutes away to our satellite base at Turquoise Lake for the first ride. In the summer, the Turquoise Lake Recreation area is enjoyed by campers, boaters, fishermen and hikers but in winter the county road and all trails are blocked off to cars and other traffic and the area is restricted to winter activities. There are more than 25 miles of groomed trails including a 15-mile loop that climbs up from 10,000′ to about 11,300′. We also ride in the meadows, past Campgrounds like The Baby Doe, and on private areas like Rancho Escondido. Our top-of-the-line fleet of Polaris 550s and four-stroke Ski Doo’s (G.T.Le 900s) is ready to take you on an amazing tour of the area after time for practice time in one of the snowy meadows. This area provides incredible photo opportunities as Mount Massive and Mount Elbert border the area, their lofty peaks soaring up to 14,000′ feet, just across the lake. This two-hour tour is for single riders only and the roads and trails will give you the confidence to feel comfortable on the snowmobile and ready for the higher altitudes and steep climbs on the Performance Tour coming next. AFTER LUNCH, THE SECOND PART OF THIS ADVENTURE IS A TWO-HOUR PERFORMANCE SNOWMOBILE TOUR | After your Turquoise adventure, return to Base Camp with your guide. Relax, warm up. Hot chocolate, coffee, water and other beverages are complimentary in our check-in building. Now you will be assigned to a frisky Polaris 550, perfect for climbing the steep winding trails up the mountain, through pine and aspen forests and old gold mining areas. At 11,200 feet, you will stop at a cozy Yurt for a box lunch and hot soup from a local restaurant. Enjoy the panoramic views from the deck, and GET READY TO RIDE, up to THE TOP OF THE WORLD, in open snowy bowls and alpine meadows, in the shadow of the GREAT DIVIDE, out on the windy tundra, at altitudes up to 12,500′. Ride and play, following your guide on his favorite trails to remote areas of this rugged land. This is the true Colorado Back-Country. 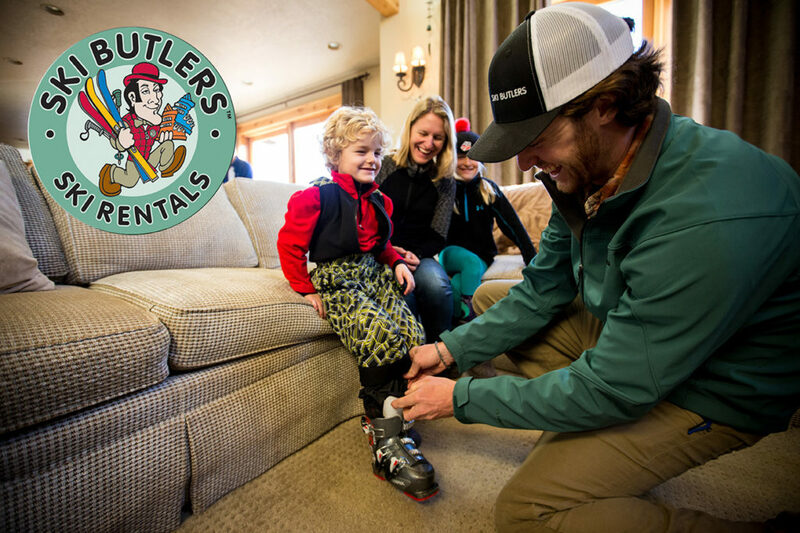 Ski and Snowboard Rentals Ski Butlers Breckenridge delivers ski and snowboard rentals to all of Summit County Colorado, including Breckenridge, Keystone, Copper, Frisco, Silverthorne and Dillon. 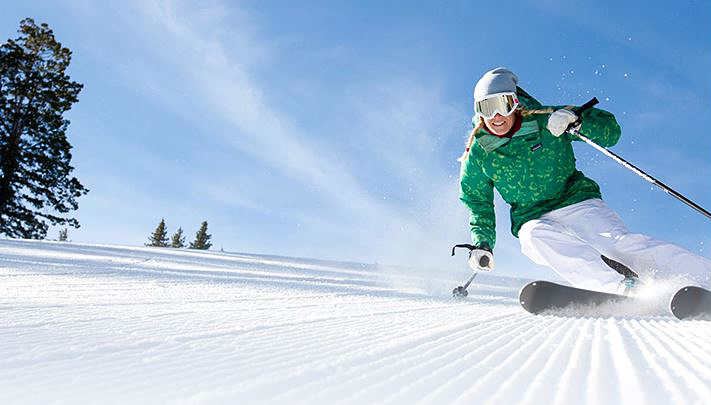 GET 10% OFF SKI RENTALS HERE! Group Tours | Tours run every day all season, snow or shine! There are 6 adult seats per dogsled tour. A child may be added to a full tour of 6 adult drivers as the child will only be allowed to ride in the sled basket with another adult and not impact the drive time of any of the other adults. Two people ride on the dogsled at a time while the other guests ride on a sleigh that is pulled by the guide on a snowmobile. Periodically, we stop and switch drivers and riders (See photo above for details). We have multiple dogsled departure times to suit your needs. Do you want your family to have the dogsled all to yourselves? You can reserve the entire dogsled by purchasing any empty seats at the adult price. You will be with your guide for 1 hour and 20 minutes from start to finish and on the trail for one hour. Tours depart between 8:45 am-3:30 pm daily. We reserve the right to modify tours as needed for the safety of our dogs. 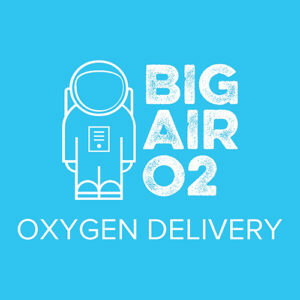 Oxygen Rental: Big Air O2 will deliver oxygen to your house or hotel room to relieve altitude sickness so you can get back to enjoying your vacation. Big Air O2 also offer oxygen bars for events. Home Massages starts at $150 and up. 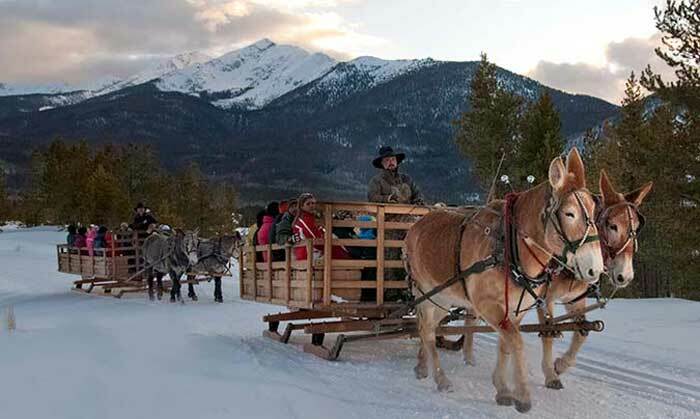 Dinner Sleigh Rides are 2-1/4 hours of fun and include the sleigh ride, dinner and a show featuring live musical entertainment. Vegetarian and gluten-free options are available with advance notice. Let us know your preferences when you make reservations. Prices do not include sales tax or gratuity. Children under 3 do not receive their own meal, and must sit on a lap if sleighs are at capacity. Scenic Hot Cocoa Ride with live musical entertainment. One hour of fun. Prices do not include sales tax or gratuity. Price does not include gratuity.